Morning. 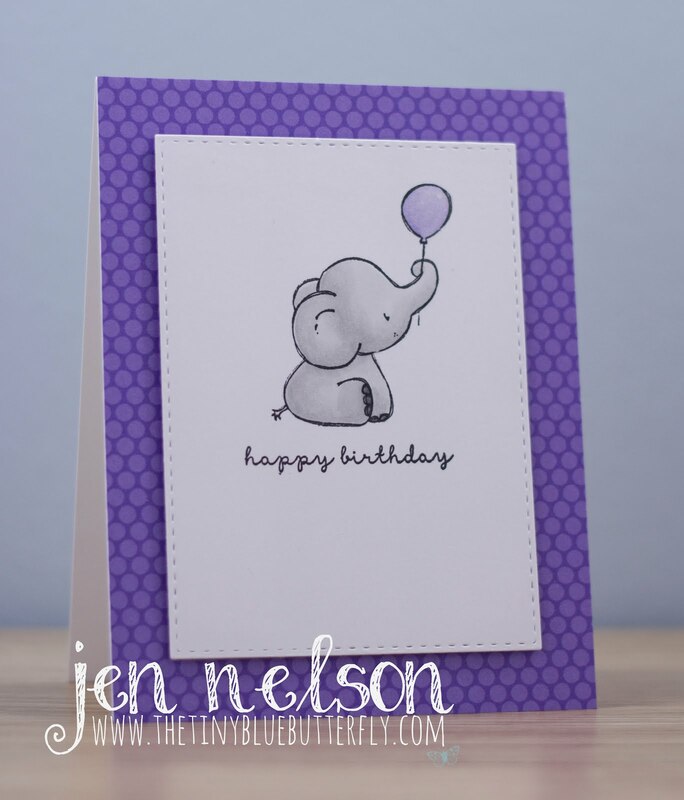 Today I have used the Elephant Birthday set from Mama Makes again for another fun birthday card. 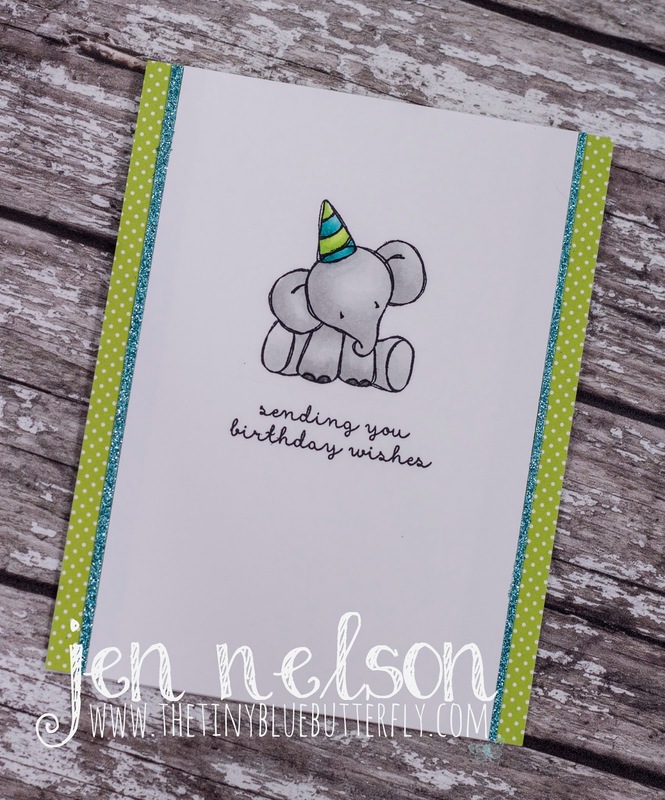 I stamped out the image onto neenah solar white card stock and then added the party hat from the set. I didn't bother masking anything off as you could not tell once it was coloured in with copics. The sentiment is from the same set and used the MISTI to make sure I got it straight. The panel was then trimmed down so I could add some colour down each side. For this I used some DSP from doodlebug and some glitter card stock from Stampin Up, cut into really thin strips. The card is finished off with a little sparkle added to the hat. I'm hopefully back on track with crafting and blogging now I have stopped travelling as much, although I am making cards for the week either over the weekend or a night in the week rather than every day now which is a lot easier to manage.